Wendy - Yeast Infection Case Study - YeastInfection.Org by Eric Bakker N.D.
February 26, 2012 by Eric Bakker N.D.
Wendy is a 77 year old female who has suffered from a skin rash for over 30 years. This lady came to my clinic a few days ago presenting with a rather nasty case of candida yeast infection. look at the images and note the red skin under the armpit, the breasts and around the folds of her abdomen. She was offered many different treatment options including steroid creams, anti-fungal creams and many different lotions and potions by various natural health-care practitioners. All to no avail, the condition just kept on coming back, time and again. Mary has a dark secret, in fact she loves dark chocolate. I was amazed how all the health-care professionals she consulted didn’t seem to place that much emphasis (if any) on her chocolate habit. She also confessed to loving biscuits and sweet cakes as well and had noticed that her habit had increased substantially over the past few years. Wendy is 77 years of age and had driven for over four hours to consult with me, so she really was serious about getting rid of her yeast infection. I have found that the best way to tackle these types of problems is in stages, that is, there is no point in making a complete change in terms of diet and lifestyle, it just doesn’t work. 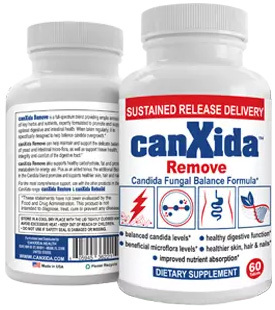 In my upcoming book entitled Candida Crusher, I explain a lot more about slowly bringing change about in a chronic case like Mary’s, and how to finally get rid of these bothersome and annoying skin complaints which seem “incurable”. There are no such complaints as “incurable” in my books, but there seem to be a few patients who are definitely resistant to change! Here you can see the fungal infection situated in the folds of Wendy’s abdomen. This has been driving her crazy for years due to the incessant itching. There are several simple solutions here, and these chronic conditions are best tackled by way of a diet change and a lifestyle change. The first thing we had to do was to reduce (and not eliminate) Wendy’s chocolate habit. Notice how I said “reduce and not eliminate”. There is no point eliminating a habit which has accumulated for many years, it is best done gradually and in stages. Do you have a major full blown yeast infection? Are you addicted to a sweet food or a drink? Think carefully, because Wendy did not consider her regular (daily) habit of enjoying sweet foods like cakes, cookies and chocolate as being of any real concern. And neither did the countless practitioners, physicians and holistic healers she had consulted over the past 30 years. Wendy’s armpit was very red, and both of her armpits have the same red itchy rash. Do you have a rash similar to this one? You may well have a yeast infection. Wendy had been using an anti-perspirant containing aluminium which was rolled on under her arms each morning after the shower. I discouraged her and mentioned about the toxicity of aluminium. She now uses an “eco-friendly” alternative. I will be working with Wendy over the next several months and hope to have more photos to share with you in the future as we make progress with this chronic case of candida yeast infection. Wendy told me that she is well and truly “over” her skin complaint and is now ready to be compliant. We will see! It takes time to break lifestyle and dietary habits which have formed over the ensuing decades, I don’t expect any miracles here. I generally find that patients comply in proportion to the level of discomfort they are experiencing.